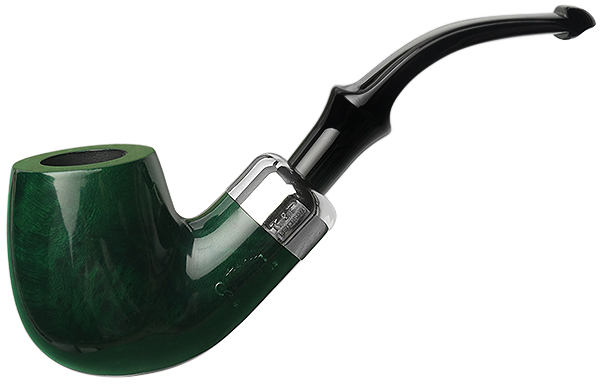 Every year since 1998 Peterson has introduced to pipe smokers around the world a new iteration, a new interpretation of what a St. Patrick's Day pipe might mean. This year, for the first time ever, it's in the form of the System pipe, and it's gone green. It looks particularly classic here, in the timeless, unostentatious rendering of their "307" bent Billiard, and, also specifically here, fitted with a P-Lip mouthpiece, which adds some visual flair to the way the piece terminates.